Ready to tackle your construction cleanup with trucks and a team, roll off dumpsters or BOTH! Need a truck and a team for your small demo project? No problem. Have a bigger or longer-term project in mind? Try one of our roll offs. Construction projects always result in garbage, waste and debris that need to be cleaned up at various phases of the project. The waste also needs to be removed and disposed of in a professional and legal manner. The bigger the construction project, the more junk that needs to be taken care of. 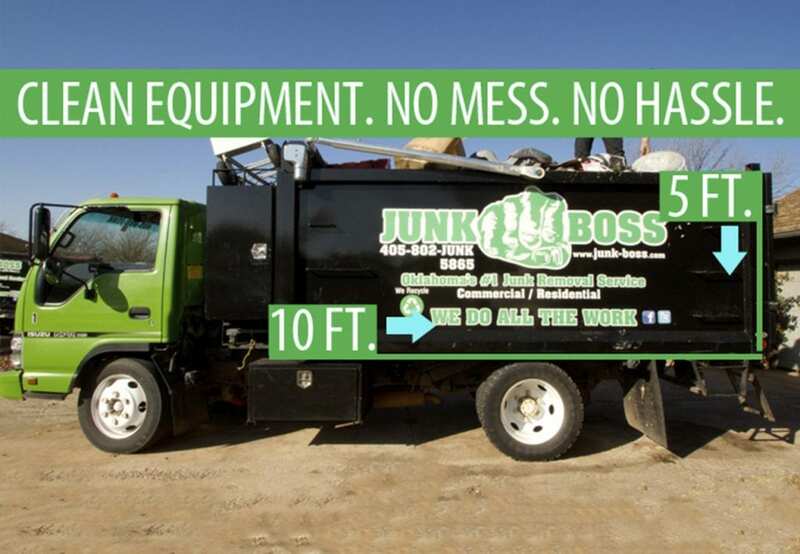 At Junk Boss we offer two different services for construction junk removal in Oklahoma. Depending on the size and type of project you may want to use our professional junk removal service, roll off dumpster service (or both)! No matter how big or small your construction project is, we’ll send out a team of our local, Oklahoma City junk removal specialists to remove and haul your debris. Whether you’re renovating one room of a house or building an entirely new space, our team can handle the work. Our service is fast and convenient. When Junk Boss shows up, just point to the trash you don’t want and we’ll provide an up-front estimate based on the size of the haul. Then we’ll pack it all up in our truck and drive away. To do our part in protecting the environment, we recycle up to 50% of the waste. We offer four different sizes of roll off containers depending on the needs of your project: 10, 15, 22 and 30-yard dumpsters. 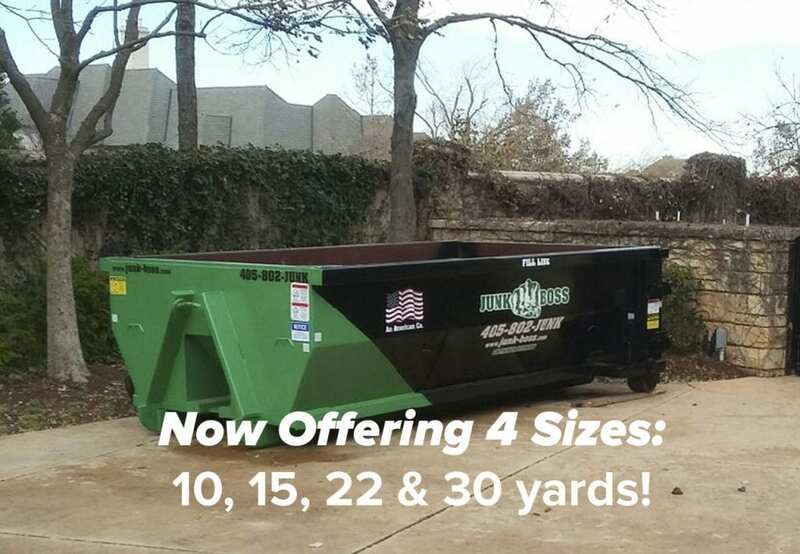 Our roll off dumpster rentals are perfect for smaller DIY junk removal jobs, contractors remodeling homes and even more demanding construction projects. 1) Dumpsters are kept clean! 2) Text, Call or Email for dumpster drop-off, retrieval or swap. 3) Same-day delivery and retrieval. 4) Dumpsters are set on wood to avoid damage to the property. 5) We will send you a picture of the drop location to confirm the correct spot. At Junk Boss, we understand the importance of your business and your clients. As sub-contractors, we perform a quality job so that you and your clients have one less thing to worry about. Give us a call today to discuss your construction clean out needs and estimate!